Claw your way to the top with the all-new BOSS-Vac™Collection Systems. 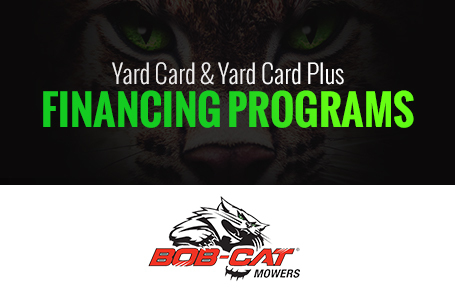 BOSS-VAC™ COLLECTION SYSTEMS: The new BOSS-Vac™ Collection Systems are designed to be used on BOB-CAT’s Predator-Pro, ProCat, FastCat Pro mowers, and they provide improvements in performance, durability and overall usage. The BOSS-Vac Collection Systems are equipped with a large, durable blower fan and a molded high-density polymer grass tube, features not found on all competitive units in this class range. These high-power, clog-reducing components save you time and leave lawns looking like a freshly vacuumed carpet. The BOSS-Vac has a new front counter weight system utilizing suitcase weights that are easily removed without the use of tools. This design puts the weight where it is most effective without blocking your sight line to the front of the deck. The unit’s quick disconnect bumper mount permits the operator to easily and quickly attach or disconnect the collection system from a simple bumper hitch using existing holes in the mower’s bumper. 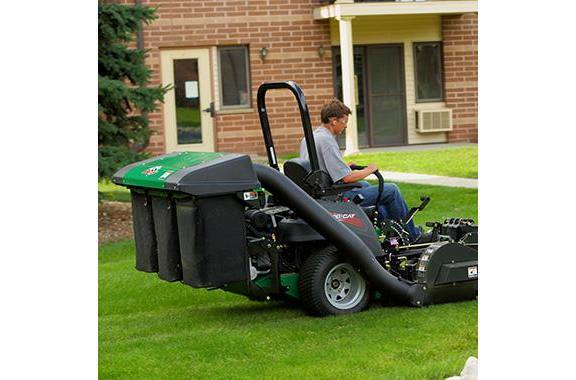 Dump Your Debris From Your Seat: The all-new BOSS-Vac™ VL Collection System features technology that lets you raise the hopper straight up and back within inches of an obstacle to empty clippings, leaves and other debris within the footprint of the unit without leaving the mower’s seat. This design has the added benefit of a low center of gravity, improving stability and providing the operator with excellent visibility behind the unit. Available in 12-bushel and 8-bushel capacities. Manual Dump System: The new BOSS-Vac™ Systems are also available in 2-bag (8-bu.) and 3-bag (12-bu.) models. The bag collection systems are equipped with heavy-duty, commercial-grade, tapered black polyester fabric bags with dust proof liners. 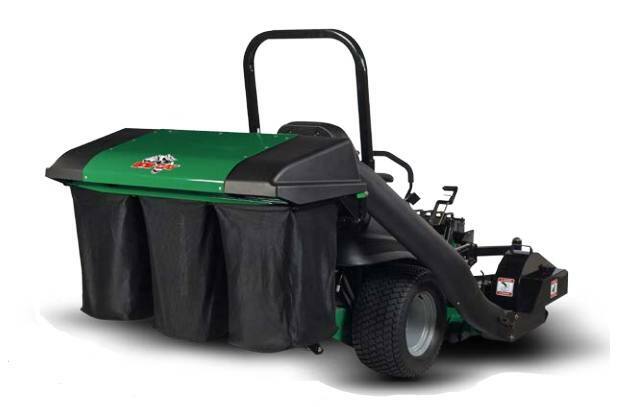 Additional Length to mower: 23.75"
Additional Width to mower: 8.75"